The $200 cheapy one didn't work out, and the seller referred me to an antique shop in Kilmarnock, as she remembered seeing a few up there. I e-mailed the guy, and, sure enough, he had two. A VV-230 (rather uncommon) and a Orthophonic 8-12. The prices were $368 and 395, respectively. 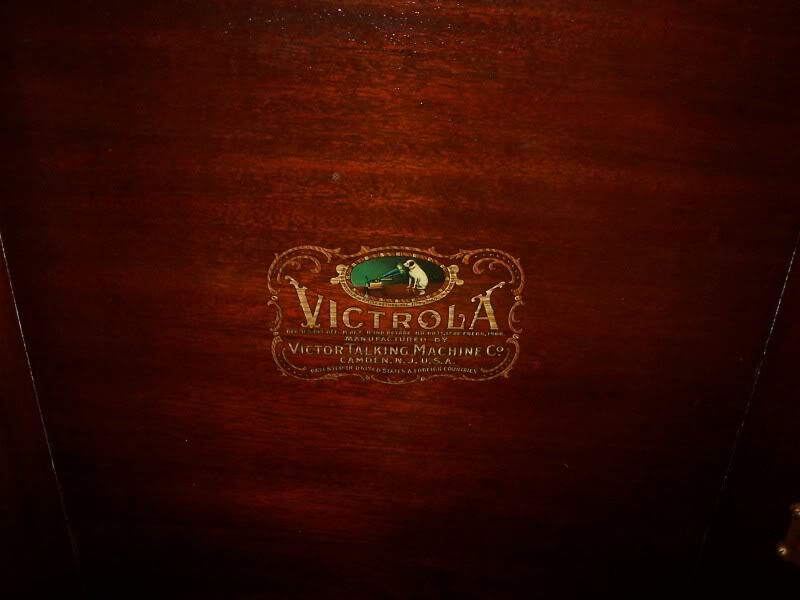 I was literally, *this* close to buying the VV-230, when, late last night I decided, for the hell of it, to type in "Victrola" and see what popped up. It returned only one match, but when I clicked the link, I nearly fell out of my chair. A near mint VV-XVII. For $225, I had to e-mail her. Turns out, I was the first one, by minutes. She called me ~ 10:30 this morning, to see if I was still interested. I most certainly was, and asked her where she was located in Norfolk. Turns out, she lives in Camden, NC. Lovely. Got that done, and was on the road at 1:30. Got to her house with no real problems, and then I was led to it. It was beautiful. Finish was incredible, I was stunned. The reproducer issue disappointed me a bit (on to that in a sec) but I liked it nontheless. 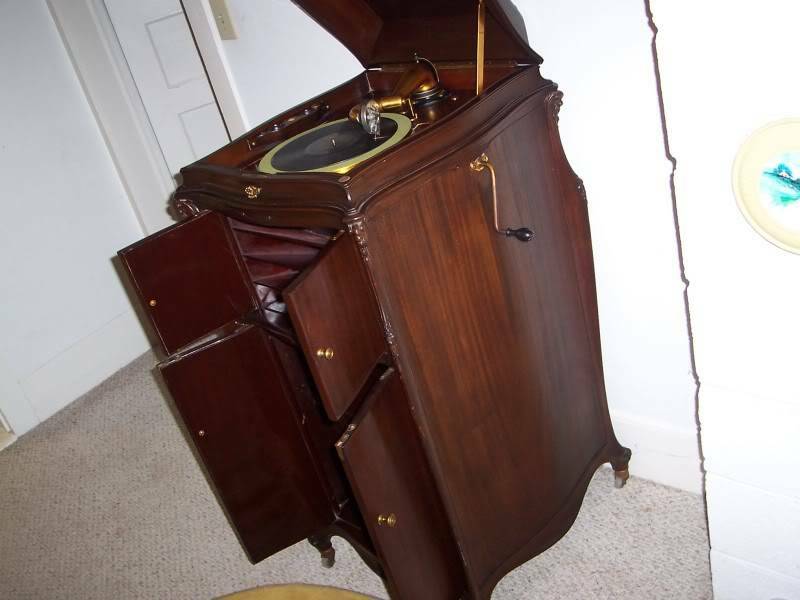 I cranked it, inserted a new needle, and put on "White Christmas - Bing Crosby" - it was....there really isn't a word for it..
Loaded it up, brought it home, assembled it, and polished it up. I couldn't be more proud. It plays... well, it plays. It's not "room filling brilliance" or anything, mainly because of the mismatched reproducer. I love it, and the wheels making moving it SOOOOOO much easier!! 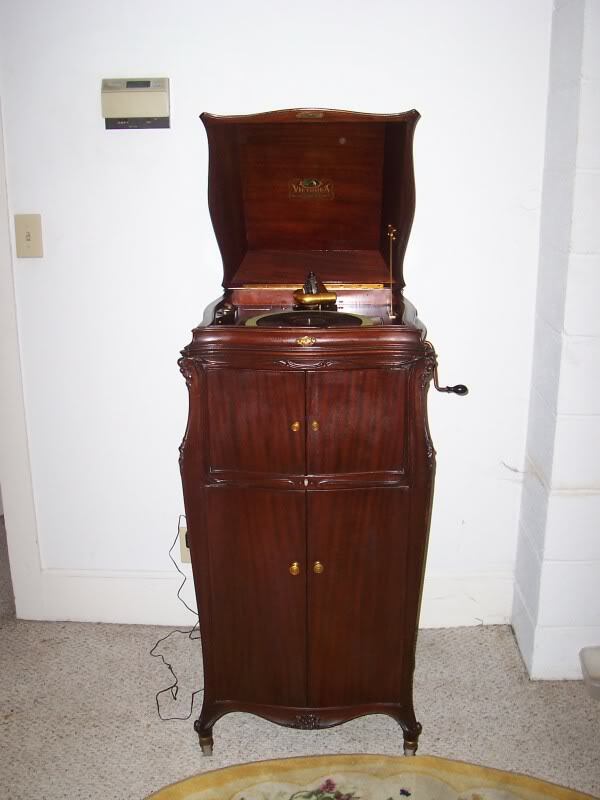 The VV-XVII was the most expensive upright Victrola produced in it's run. All the trim was hand carved, and it was hand stained, polished, etc. 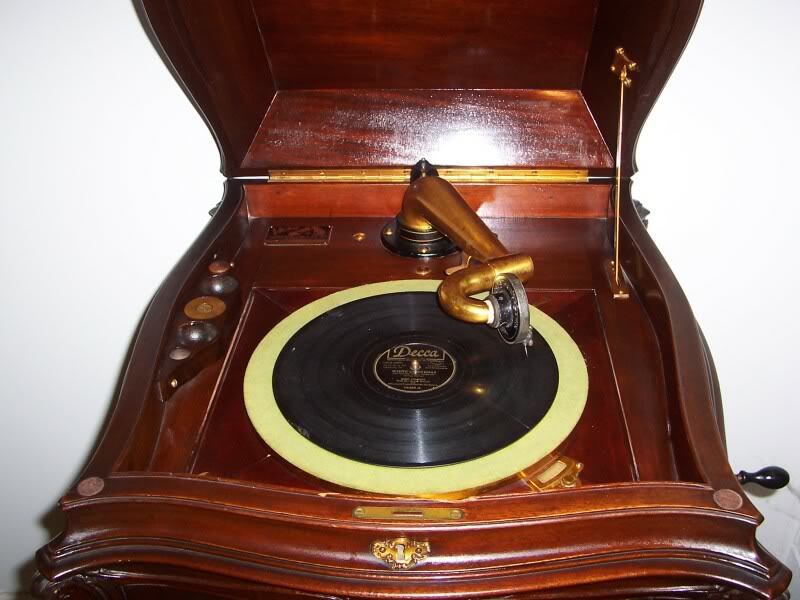 The tone arm and such are gold plated. (While it isn't a vehicle, I am proud of it, it brings me joy, it has 4 wheels, and a 4 spring motor. So, *technically*...."
good deal but you didnt explain to us stupid people what a mis-matched reproducer..
stupid people? Oh come on now. I don't think anyone is stupid. There are terms one person knows, that another doesn't. Tha tgoes for anyone. A reproducer, is the round pickup you see up close on photo #3. 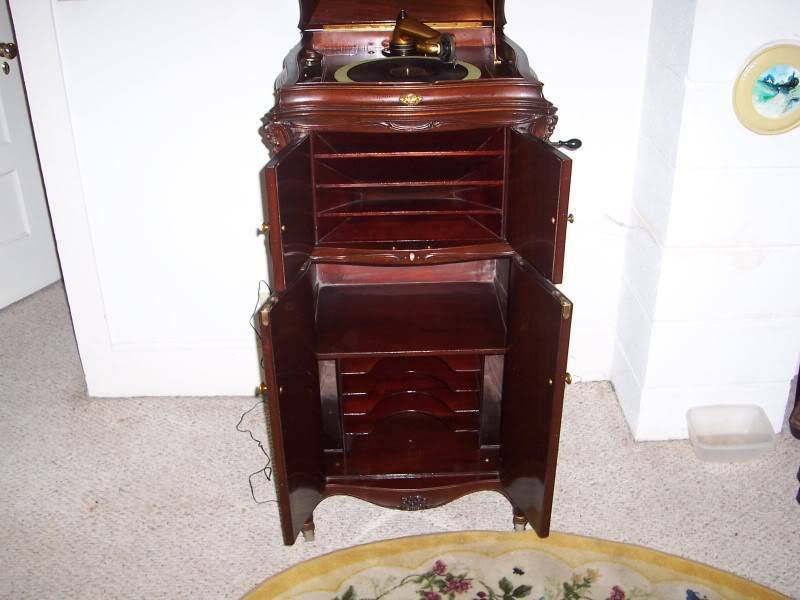 It is quilt for a 1920's Victrola Orthophonic model, v.s a pre 1920's acoustic model (on to that in a sec) which has a No. 2 Reproducer. 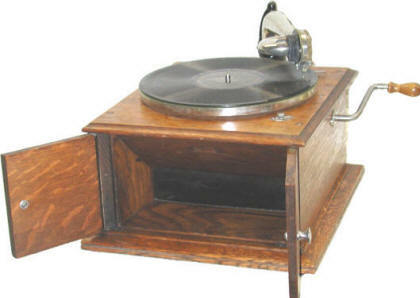 With the induction of the modern tone arm in ~ 1930, a reproducer was no longer needed. In machines as old as mine, there is no speaker. Or, wiring period. The technology was not advanced yet enough to do this. 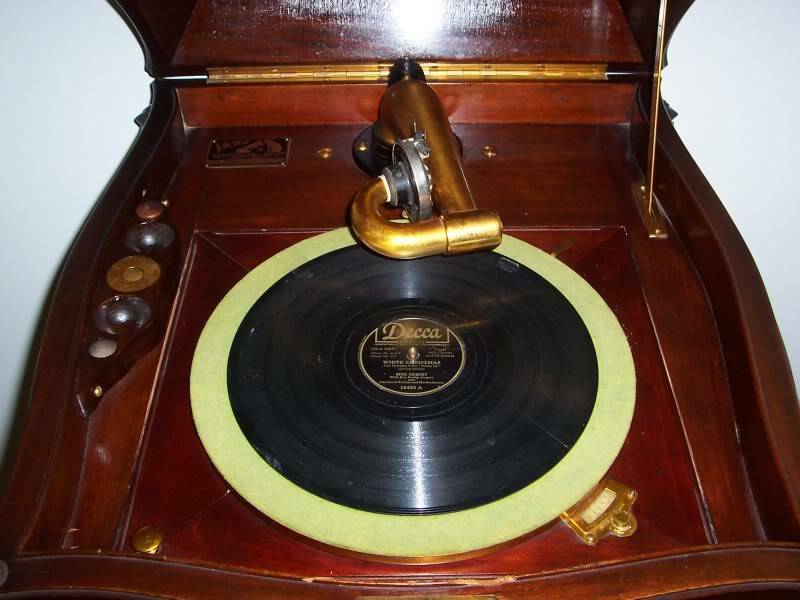 On players like mine, the reproducer picks up the sound vibrations from the record, and transmits them as sound waves, through the tone arm, and down into the horn, where they come out as music. Think of the reproducer as an antenna, and the horn as the speaker. Without the proper antenna, it will not pick up properly, and send the right signals to the speaker. 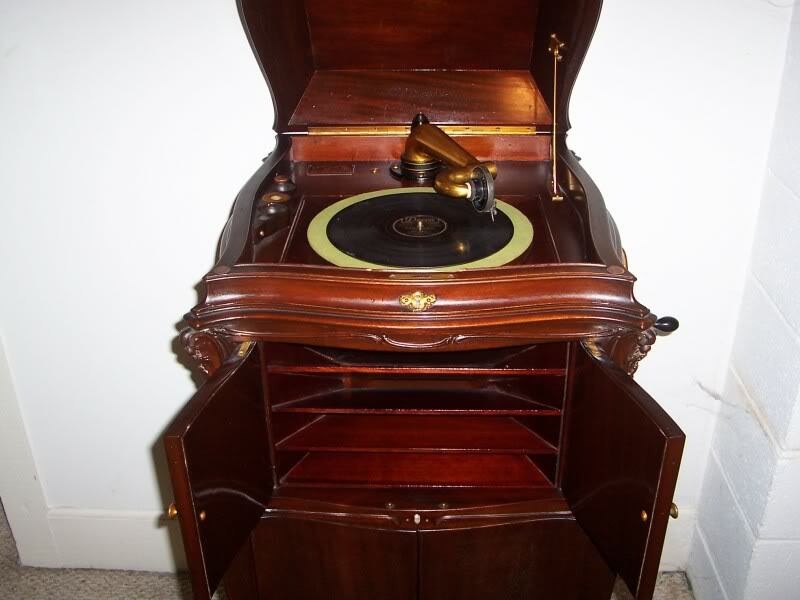 I forgot to explain it here, I simply posted the post on the Victrola forum, and copied it to others I frequent, who are aware of my hobbies. I better correct a few of those as well. Just kidding, looks great William. I'm glad you found something you love. "Hey baby, wanna see my rod?" so correct me if im wrong..
your missing the big horn type thing for this or there is a speaker somewhere hidden... i didnt understand a word of what you said up there lol.. im like you and engines when it comes stuff this old and out dated..
That's a good question.. and, When did they start doing away with those big cone type horns too? 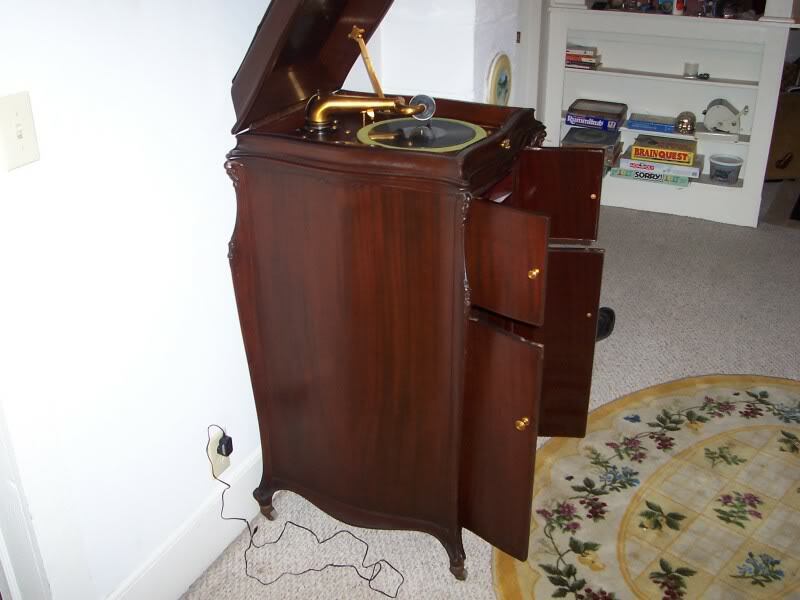 The horn is concealed on upright (like mine) and console Victrola's. Look at photo #4, with the two small doors open. Behind the wooden slats, is the horn. 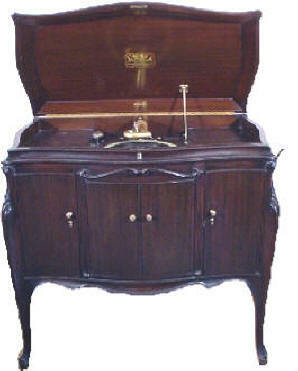 Tabletops made after 1910 usually had the horn concealed within the cabinet. Oh I get it !!! In the later models, they concealed the horn within the cabinet. I guess they felt it was an undesirable part of it. So they started to hide the horn. Yeah, it was mainly done just for appearance's sake.